August 30, 2018 Dr James Herrera, Ph.D. The focus of the Evolutionary Medicine Summer Institute is on computational approaches in evolutionary biology and evolutionary medicine. We welcome graduate students, postdocs and faculty in medical school departments or schools of public health, physicians, and veterinarians. We also encourage participation from advanced undergraduates interested in evolutionary medicine, and graduate students in organismal biology who wish to apply an evolutionary perspective to human or animal health. Scholarship funds are available for applicants who are underrepresented in STEM, or who teach at minority-serving institutions. EMSI brings together internationally recognized experts in evolutionary biology with students and health practitioners who want to apply these perspectives to cancer, infectious disease, evolution of microbial resistance, neurology, autoimmune disease, the microbiome, and more. Mornings feature lectures and exercises that are designed to instill an understanding of the core concepts in evolutionary medicine. In the afternoons, we provide training on specific evolutionary methods, including phylogenetics, molecular evolution, and evolutionary epidemiology, including introductions to key computational approaches. Our goal is to promote a deeper understanding of the material and concepts through hands-on exercises and communications across disciplines. The evenings include short talks by local experts on topics in evolutionary medicine, and time for further discussions and networking. 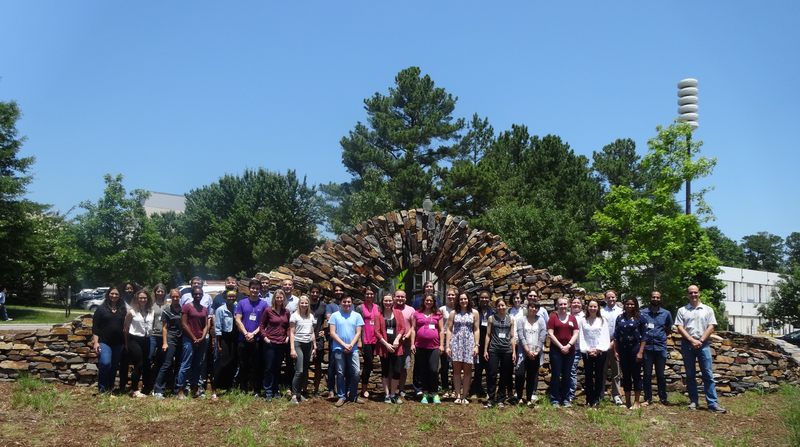 The Summer Institute offers a unique opportunity to learn foundational principles and gain hands on experience with evolutionary methods that are applicable to specific health challenges. In addition to this training, we offer the opportunity to network and build collaborations for scientists and practitioners across disciplines. To facilitate networking, teams form to initiate short papers that present evolutionary perspectives on specific diseases, which are submitted as “Clinical Briefs” to the journal Evolution, Medicine and Public Health, potentially resulting in a short publication for interested participants. The 2018 workshop was a tremendous success, with more than 30 participants, 10 instructors and teaching assistants, and a diversity of topics covered, including methods for inferring evolutionary relationships among species and viral strains, inferences about the evolution of traits related to health, mapping disease hotspots, and how the microbiome is related to health. During the workshop, several important topics were at the forefront of discussions, including myths about race and health, facts about health disparities, and perspectives on how infection with parasitic worms may actually have positive effects on health and not just the negative impacts we most commonly associate with worm infection. If you’re interested in EMSI, check back soon for updates on our plans for 2019! Visit the EMSI website for more information. Thank you to all the 2018 participants! Evolutionary Medicine Summer Institute application open! TriCEM is powered by WordPress at Duke WordPress Sites. Please read the Duke Wordpress Policies. Contact the Duke WordPress team.